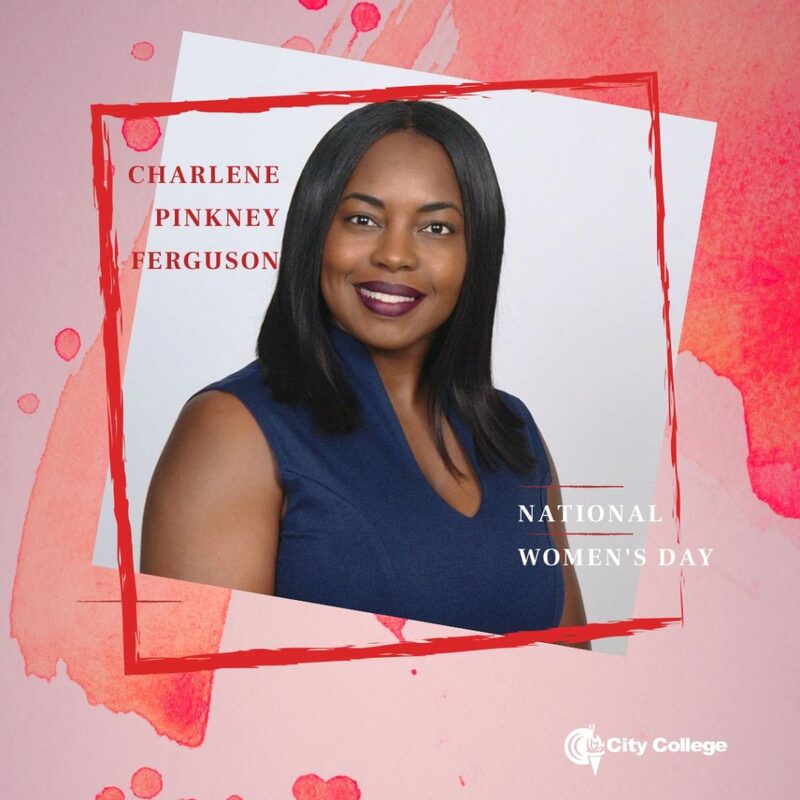 In today’s International Women’s feature, we highlight – Attorney Charlene Pinkney Ferguson who is an Adjunct Instructor at City College Ft. Lauderdale Campus and has taught in the Allied Health, Paralegal, Business and Private Investigations programs. In 2018, her Medical Law and Ethics students won the Student Video Contest on behalf of the Fort Lauderdale Campus highlighting the difference between For-Profit Hospitals and Universal Healthcare. Across all programs, Attorney Pinkney Ferguson utilizes engaging teaching methods to encourage active student involvement. In her classes, Attorney Pinkney Ferguson’s students research real-world legal databases, review and draft legally binding contracts, practice the steps necessary to legally incorporate a business in the State of Florida, debate real-world topics related to their fields and they all leave her class with a portfolio of documents the students may use to successfully venture into their individual career paths. Attorney Ferguson has taught at various colleges for over ten years and has been a practicing attorney for over 14 years. She has had the pleasure and honor of serving as the first Black Female Staff Attorney for the Broward County Clerk of Court, Domestic Violence Division where she worked side-by-side with the judiciary making more than 7,000 preliminary and proposed rulings in domestic, repeat, dating and sexual violence cases. Attorney Pinkney Ferguson co-authored several published judicial opinions for Judges on the 4th District Court of Appeals in the areas of Criminal and Civil law. Attorney Pinkney Ferguson and her mother, Laverne Pinkney, Esq. are the first Black Mother and Daughter law firm in Florida with an office in Pembroke Pines, Florida.